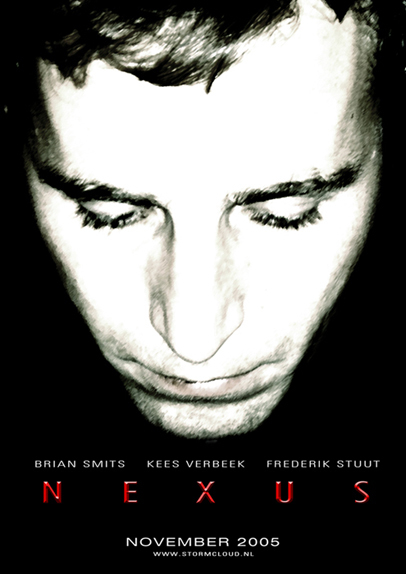 Nexus tells the story of a father and a son, who have lost contact over the years. When the day comes that both of them realise what they're missing, it might already be too late. Prior to filming, the cast was chosen out of many online auditioners. The story of the movie was spread out over three generations, which obviously was a key point in casting the right people. The main part of the film is played by Brian Smits, an upcoming film and TV actor. For the role of the boy Frederik Stuut was chosen from dozens of applicants. It was his enthusiasm and energy that made him the right choice. Kees Verbeek signed on for the 'father part'. His striking features had an important function in the story. Original music was written by Jesse de Blois. Nexus has won several awards over the years, including a Gold Standard at the 2006 BIAFF in Bedford, UK.